IntelliLaunch for blackberry allows you to instantly find and launch apps, file, or contact on your smartphones! 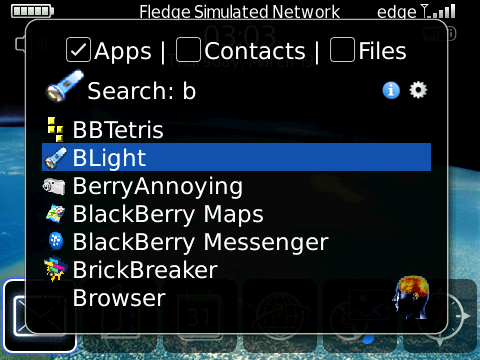 Simply set IntelliLaunch to a convenience key and have easy access to everything in your BlackBerry. RadioStation.ForMe(rs.fm) is a Last.fm Internet Radio Player designed for BlackBerry smartphones v4.5 and up. It lets you listen to songs through Last.fm radio stations at convenience. “Magic Words” let you use interactive shortcuts to accomplish longer tasks in fractional time!